This is one of my personal favorite Aesthetic Preferences. Steampunk and the visual offshoot Clockpunk have both become very popular and accessible, especially in the form of jewelry and home décor. You know an aesthetic has entered the mainstream when there are a bunch of scrapbooking and papercrafting lines devoted to it! Steampunk began as a literary sub-genre within science fiction. The original idea was an alternative history where steam power, as it began in the Industrial Revolution, is the basis of technology and industry. For example rather than an internal combustion engine, vehicles would continue to be steam powered. Part of the assumption is that air travel would have developed along the lines of dirigibles rather than fixed wing planes. The early steam ships would have become bigger and more luxurious, instead of diesel engines taking over. Imagine Leonardo da Vinci with the addition of steam engines. Iron is needed for the engines, so it is not wasted on body work – instead there would be a great deal of wood, ahead of aluminum. The first solution to any problem would be mechanical rather electrical devices. The writers started in the Victorian era and moved on from there. The aesthetic springs from that idea and includes pipes, pulleys, wheel mechanisms, valves, tubes, steamy mists and late Victoriana. The preferred metallics are brass, stainless steel, copper and galvanized iron, or iron with rust. Motifs spring from steam engines including pistons, turbines, and of course clockwork, including keys and all sorts of cogs. On clothing the garments of the Victorian and Edwardian era are embellished with buckles, turnbuckles, grommets and belts. Look for small machines and vials, leather either new and glossy or distressed and worn. Here’s my current Etsy Treasury of a small selection of the myriad of cool steampunk themed items around. It includes some of the accessory staples, goggles – based on a combination of old driving glasses from nascent automobiles and safety goggles. Movies whose plots are founded on steam powered technology include The League of Extraordinary Gentlemen (2003), Wild Wild West (1999), City of Ember (2008) and the recent Sherlock Holmes (2009) and sequel. For some nice clock work see Hugo (2011). The presence of steampunk technology in the design was a point of contention in The Three Musketeers (2011). Literary genre scholars tend to believe that the presence of steam technology in earlier times would have a ripple effect on culture and politics. There are popular forums and academic discourses devoted to it. However there are more movies where the steam punk aesthetic is present. To find it lurking in classic movies takes some more observation but certainly includes Metropolis (1927), The Time Machine (1960), Modern Times (1936) and The Wizard of Oz (1939). It feels like some of the iterations of Gotham City show steampunk influence. Take steampunk medieval in Hansel & Gretel: Witch Hunters (2013), and notice the visual motifs in Time Bandits (1981) and Van Helsing (2004). 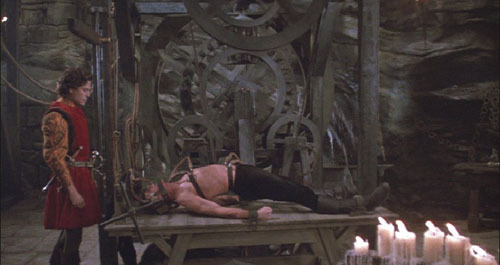 How about the machine in Princess Bride (1987)? The Machine from The Princess Bride. 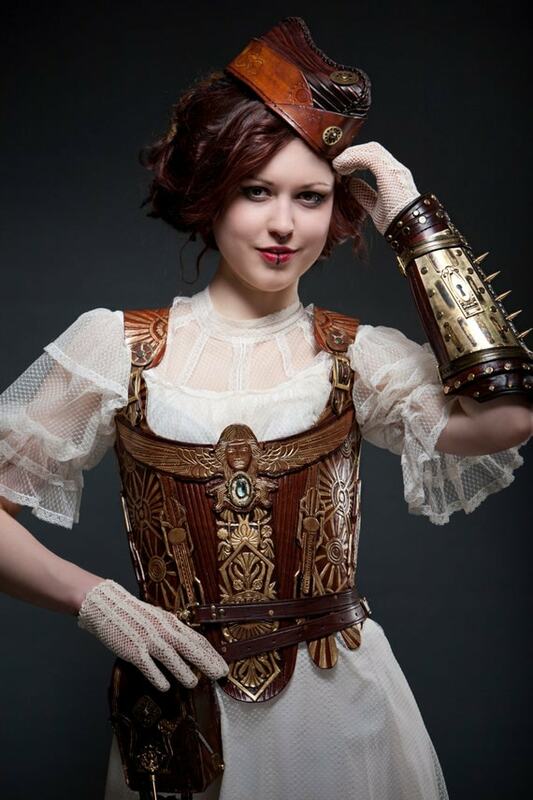 Steampunk characters are staples of cosplay. I think it’s because those garments so much fun. And everyone is flattered by a nice corset.